Today only! 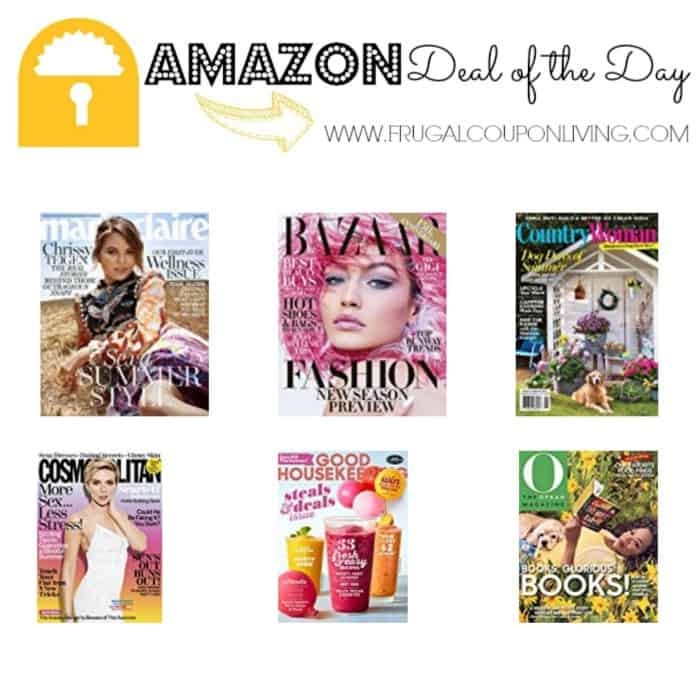 Choose from best selling magazine titles and get a 6 or 1 year subscription for only $0.99! This offer is available for select titles in digital or print form. Among the titles available you can get Cosmopolitan, Good Housekeeping or Popular Sience in print for for 6 motnhs for just $0.99. Or you could get titles like Woman’s Day, Elle or MArie Claire in digital form for 1 year for $0.99.